Audra Mitchell is a settler scholar who lives and works on the Ancestral and treaty lands of the Neutral (Attawandaron), Haudenosaunee and Mississaugas of the New Credit (please see Honouring the Land). She currently holds the the Canada Research Chair in Global Political Ecology at Wilfrid Laurier University. From 2015-18 she held the CIGI Chair in Global Governance and Ethics at the Balsillie School of International Affairs Audra is an Associate Professor at Wilfrid Laurier University, Canada, cross-appointed to the Department of Political Science, with adjunct appointments at the Department of Geography and Environment (Laurier) and Political Science (University of Waterloo). Previously, she was a Senior Lecturer (Associate Professor) in International Relations at the department of Politics, University of York, UK. Decolonisation and the dismantling of transversal structural violences, including settler colonialism, genocides, environmental racism and extractive violence. Audra is particularly interested in land return and how it can be achieved within the next generation. Audra’s academic background is rooted in diverse disciplines, including global political ecology, global ecological ethics, philosophy (including Indigenous and Western philosophical systems), anthropology and geography. All of her work has explored, in a variety of contexts and frameworks, how distinct worlds confront, resist and re-world in the face of large-scale, structural violence. Audra’s new book, (Bio)plurality: Global Extinction and Indigenous Resistance is under contract with the University of Minnesota Press. Learning from the work of contemporary Indigenous philosophers from multiple nations, it re-frames plant and animal extinctions and the ‘Sixth Mass Extinction Event’ in terms of multiple forms of global structural violence (including settler colonialism, land-based gendered and sexual violence, genocide and extractive capitalism). Audra is grateful to collaborate with land-based community leaders across so-called Canada and Australia, and colleagues at Six Nations Polytechnic (Sara General), the University of Newcastle (Sarah Wright), Macquarie University (Sandie Suchet-Pearson and Kate Lloyd) on two SSHRC grants: the Partnership Development Grant “Decolonizing Against Extinction” and the Connection Grant “Caring For Kin, Confronting Global Disruptive Change”. She is also honoured to work as part of the Creatures’ Collective, a group of Indigenous and non-Indigenous scholar activists from around earth who work to contest colonial scientific knowledges and to nurture rising BIPOC scholars. Earlier in her career, Audra’s work focused on how violence, security and global ethics relate to more-than-human beings. Prior to that, she examined how large scale violence is embodied in and wielded by large-scale peace interventions. 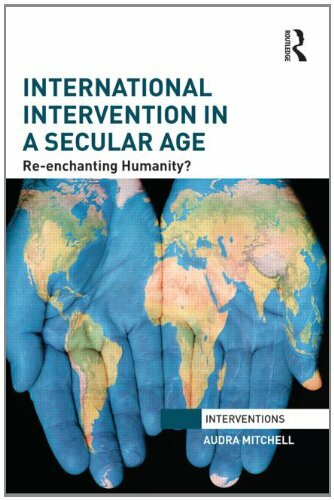 Her work in these areas is published in : International Intervention in a Secular Age: Re-enchanting Humanity? (Routledge, 2014), Lost in Transformation: Violent Peace and Peaceful Conflict in Northern Ireland (Palgrave, 2011) and (ed. with Oliver Richmond) Hybrid Forms of Peace: From the Everyday to Post-liberalism (Palgrave, 2011) . She is also the author of articles in Political Geography, Security Dialogue, Review of International Studies, Millennium, Third World Quarterly, The British Journal of Politics and International Relations, International Peace-keeping, Alternatives and other international journals. From 2013-14, Audra was a fellow of the Independent Social Research Foundation. In Febrary – April 2014, she was a visiting fellow in the School of Political Science and International studies at the University of Queensland, Australia. “(Bio)plurality” UNSW Seminar, 7 February 2017. “The Meaning of Extinction“, The Philosopher’s Zone, Australian Broadcasting Corporation National Radio, November 2014. Read the blog about the broadcast here. “Mass Extinction and the UN’s Sustainable Development Goals” 2030+ Innovation Challenges in Food and Health Security Panel, BSIA, October 2015. “Posthuman Security” ISRF Podcasts, June 2015. “Worldly Security”, Security Dialogue Podcasts, December 2014. “Enormities and the Ethical Geography of Harm” Posthuman Security Workshop, June 2014. My pleasure! I hope your work is going well. Sounds excellent! I hope the student visit goes well.